ALISO VIEJO, Calif. (AP) — A deadly explosion that ripped through a Southern California day spa was a crime, investigators said Wednesday as they identified the owner as the likely victim and looked into whether she was targeted and why. 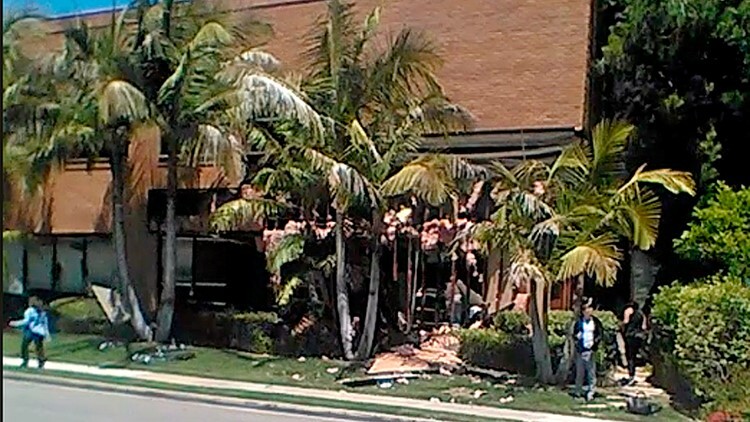 Remnants of an explosive device were found inside the badly damaged spa where the powerful explosion Tuesday afternoon shook the city of Aliso Viejo, about 50 miles (80.5 kilometers) south of Los Angeles, and tore a corner off the building housing medical offices. Two patrons were seriously injured. Formal identification of the body was continuing but authorities believe it was Ildiko Krajnyak (IL-di-koh KRY-nyak), a licensed cosmetologist, who owned the spa. Search warrants were served at the business and two other locations, including the Long Beach house of a man whose Facebook page features photos with Krajnyak in Mexico, Canada and Portugal. A neighbor there who would only give her first name as Tiffany said Krajnyak lived there with her estranged husband and mother, whom she cared for. A son was attending college in Washington state. Tiffany said the family still hadn't been notified Wednesday if Krajnyak was dead or alive. Balsamo reported from Los Angeles. Associated Press journalists Amy Taxin in Santa Ana, Brian Melley, Christopher Weber and John Antczak in Los Angeles and researcher Rhonda Shafner in New York contributed to this report.